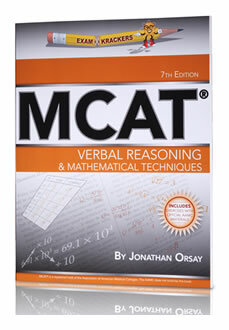 The most effective strategy for scoring well on the MCAT verbal reasoning section is within this book. The author shares the same effective strategy he used to obtain a perfect score in the Verbal Reasoning section. Important mathematical techniques for the MCAT like rounding, graphs and proportions are also briefly covered. Near the end of the book three 30 minute verbal exams are included for practice. In addition to using this book it would be most beneficial to obtain more verbal exams for practice.